A roundup of news from the inaugural St Petersburg International Media Forum includes a busy French delegation and a local controversy brewing over Leviathan. The King Of Madagascar, a kind of Russian answer to the pirate adventure films à la Pirates of the Caribbean, is being set up as a $ 16m international co-production by producer-director Oleg Ryaskov’s Moscow-based BFT Movie. Speaking at the opening of St Petersburg International Media Forum’s (SPIMF) co-production market this morning, producer Ryaskov revealed that the project - which is based on real historical events abouta Russian expedition by Peter The Great to the island of Madagascar in danger of being thwarted by Great Britain’s King George - has Spain’s Smartline Spain and the US casting company Scott Carlson Entertainment on board as partners and is currently in talks with French and German production companies to join. Ryaskov added that he intends to have American, European and Russian actors in the cast to optimise the film’s international market potential. Planeta-Inform is handling international distribution for the project, which already has 40% of its financing in place, with Vladimir Khotinenko, Sandra Basso, Naz Tliachev, Scott Carlson and stunt coordinator Aleksandr Samokkhvalov whose credits include Stalingrad and Legend No. 17. The information event on the current state of co-production with Russia also saw Passenger Film Studio’s Liza Antonova speak about her experiences on co-producing with Germany and Ukraine, most recently on Alexander Mindadze’s Dear Hans, Lovely Peter; while Tandem Productions’ Anna Katchko, who works between Germany, Russia and Kazakhstan, said that shooting had been undertaken last spring at locations in St Petersburg on Elena Hazanov’s new film The Puppet Syndrome - excerpts will be shown on Tuesday as part of the co-production market’s Work In Progress showcase. Asked about the availability of private money for film production, Fyodor Druzin of the UK-Australian production house Curb Denizen noted that some Russian private investors are showing themselves open to backing arthouse projects with festival potential rather than just opting for sure-fire commercial titles. Natalia Drozd of CTB Film Company, which is one of the group of Russian “majors” producing blockbuster titles as well as handling arthouse fare, added that, in her personal opinion, the climate for co-production in Russia was not so positive at the moment, but ventures like the SPIMF co-production market were important as a forum for fostering international collaboration. Russia is a member of Eurimages and a signatory to the European Convention on Multilateral Co-Production, but the number of co-productions had fallen sharply from 2012 to 2013 - from 14 to 8 international co-productions following the reorganisation of the Russian Cinema Fund (Fond Kino) and the disbandment of its international division. In addition, the number of minority co-productions slid from nine in 2012 to only three last year. Supporting the development of film projects is still not seen as a priority by the Russian national film funding authority and had thus led to the creation of the private initiative of the Point Of View (P.O.V.) development fund to support projects with wide audience and international festival potential. The latest two projects to have been supported by P.O.V. will be presented in public at the end of the co-production market on Wednesday evening. French cinema has been out in force at the inaugural edition of the Forum, which kicked off on October 1 with the Russian premiere of Xavier Dolan’s Mommy. French cinema’s ‘golden boy’ Francois Ozon came to St Petersburg with his latest feature The New Girlfriend, while the designer and producer Agnès B. (aka Agnès Trouble) was in town with her lead actress Lou-Lélia Demerliac to present her directorial debut My Name Is Hmmm…. Cinema ‘made in France’ was also represented in the Media Forum’s first four days by Frédéric Tcheng with his second documentary as director, Dior and I; Benoit Jacquot with his Venice competition film Three Hearts; actress Ana Neborac with Virgil Vernier’s feature-length debut Mercuriales; and Paul Vecchiali with his own take on Dostoyevsky’s novel White Nights, White Nights On The Pier, which premiered in Locarno in August. In addition, Cannes Film Market chief Jerome Paillard, who is also a member of SPIMF’s board of trustees, came for the Media Forum’s first three days before travelling on to the film festival in Busan, while Unifrance’s expert on Eastern European cinema Joel Chapron was also on hand to accompany Ozon. Russian distributor Daniil Goroshko of St Petersburg-based A-One Films was encouraged by the positive response from the Aurora Cinema audience to the screening of The New Girlfriend and confirmed that he intends to release an unexpurgated version of the film in Russian cinemas on November 13. Before that, A-One Films will have another Mandarin Cinema production - Bertrand Bonello’s Saint Laurent - which also screened in SPIMF’s Mamentum sidebar - to release into cinemas on October 16. Other international guests in the first half included the Venezuelan producer Rodolfo Cova (Zero Hour), Australian documentary film-maker Anna Broinowski (Aim High In Creation), UK writer-director Rob Brown (Sixteen) and producer Nicholas Bonner (A State Of Mind). In addition, Locarno’s artistic director Carlo Chatrian was in town for three days to support the Locarno Local sidebar which is being curated by the film critic Boris Nelepo who also serves as the Swiss festival’s consultant for Russian cinema. The showcase of films from this year’s line-up in Locarno included the Golden Leopard winner From What Is Before and White Nights On The Pier - with both directors attending - as well as Eugène Green’s La Sapienza and the late Finnish critic and film-maker Peter von Bagh’s documentary Socialism. Meanwhile, a controversy is brewing about the choice made by the Russian Oscar selection committee for Andrey Zvyagintsev’s Cannes prize-winner Leviathan to compete for a nomination to the Best Foreign Language Film category. While Zvyagintsev’s film will not have a wide release in Russia until November, Zhora Kryhovnikov’s Kiss Them All had been launched by Bazelevs Distribution on over 1,500 screens and posted over 4.5m admissions, with many cinemas still screening the film in their programmes. In the committee’s final vote, Kiss Them All received eight votes and Leviathan 14 nods. In their letter, they appealed to Leviathan’s producers ¨to take what would seem to us the right decision¨ by withdrawing their film and re-submitting it in a year’s time after its Russian theatrical run. If this did not happen, they would be “compelled” to lodge a formal protest with the Russian Oscar selection committee. 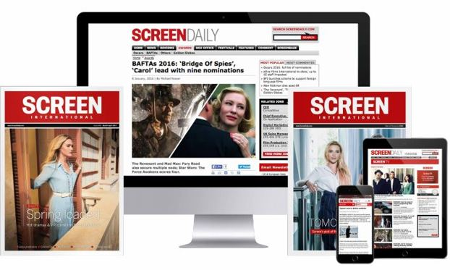 Screen Daily contacted Non-Stop Production for a response to the open letter, but neither the producers nor the film’s director have wished to make any comment. UK film-maker Rebecca E. Marshall has so far raised over 75% of the $ 22,357 (£14,000) needed to meet the costs for a research trip for her documentary The Forest In Me by attracting investors via the Indiegogo crowdfunding platform. The film intends to portray a 70-year-old woman Agafya Lykova who has lived alone for the past 25 years in the Siberian Forest, 150 kilometres from the nearest town and only accessible via helicopter. She pitched the project at the Moscow Business Square co-production forum in 2013 and has the UK’s Passion Pictures, Canada’s Nomad Films and Greece’s Vasilis Chrysanthopoulos onboard as executive producers. An October 9 deadline has been set to raise the full amount via www.igg.me/at/the-forest-in-me as Marshall plans to make her trip to distant Siberia at the end of October. Serbian director Emir Kusturica is planning to make his first English-language film since 1993’s Arizona Dream with an adaptation of Italian writer Primo Levi’s 1982 novel If Not Now, When?. Levi’s novel, which has been adapted by Kusturica and Gordan Mihic (screenwriter on the director’s Time Of The Gypsies and Black Cat, White Cat), is set during the final years of the Second World War when a group of partisans caught behind the German lines are forced to fight their way from Belarus to Italy. Previosly, Levi’s account of his personal homeward journey after being liberated from the Auschwitz death camp was adapted by Francesco Rosi as The Truce (La Tregua) in 1997 with John Turturro in the lead role as a European co-production by the late Italian producer Leo Pescarolo and Germany’s Daniel Zuta. A TV series on the life of Alexander Griboyedov is set to be the next project by producer-director Nikita Mikhalkov. Speaking at the world premiere of his latest feature Sunstroke in Belgrade on Friday evening (Oct 3), Mikhalkov told journalists that, after almost five years of development, a script was now complete about the life of the 19th century Russian writer and diplomat, and it could provide the basis of a 20-part series. Sunstroke was also screened for the first time in Simferopol and Sevastopol on the Crimean peninsula at the weekend, to be followed by Moscow on October 7 and Dreamteam’s theatrical release from October 9. As Mikhalkov recalled, his adaptation of the Ivan Bunin story had taken 37 years to make its way to the big screen.